….. and can I just say thank you so much for your patience, kindness and effort above and beyond the call of duty, from the time of our first meeting to the days following 'the big day'. You were very professional throughout but also obviously happy at what you do - it showed and you glowed. If you ever need a reference or should we be able to add one to your web etc details then please let us know - we would be pleased to do so. Jungles, rice fields, waterfalls, cliff tops, crashing surf, golden beaches, the sounds of ceremonies and gamelans, the scents of incense and frangipanis. Along with the caress of the warm, tropical air – all of these go toward making Bali one of the world’s most romantic destinations for weddings. As well as the romance, the scenery and the beauty, there is of course the wonderful food. The Balinese people smile and laugh a lot; they love Weddings and Ceremonies of any sort. The locals will happily get involved with helping in any way they can – even if they are just passers-by! It’s hardly surprising that so many couples choose this glorious island for their Special Day. A Wedding in Bali is one that will be remembered always – not just by the Bride and Groom, but by all their family and friends who travel to Bali to share the occasion with them. One of the first weddings I ever conducted was in Bali. Whilst living there in 2008, I performed Wedding Ceremonies for couples in Seminyak, Legian and Jimbaran, as well as on Gili Trawangan (a small tropical island off Lombok). In truth, these were Commitment Ceremonies – but with ‘all the trimmings’ – as the couples had chosen to have the ‘legals’ conducted in their own countries, and then to hold their Wedding Celebrations in Bali or Lombok. These couples either chose Bali for their wedding because Bali was where they had met each other and held a special place in their hearts, or because they could have the Wedding of their Dreams, which would not be affordable in their home countries. So, what might you not have thought about when planning your fabulous Bali Wedding? If planning a hotel or a beach wedding ceremony, be aware that you are likely to have onlookers standing around in swimwear, possibly clutching a beer and taking their own photos of your wedding. Let your Wedding Planner know if this is something that will bother you. A legal marriage ceremony in Bali will be an Indonesian Marriage. Your certificate will be an Indonesian Marriage Certificate; however, this will readily be recognised in Australia. The document is not all in English and may require an official translation at a later date for certain offices, such as banks etc. A legal marriage ceremony in Bali requires that the couple are of the same religion; and that religion is to be one of the 5 recognised denominations i.e. Muslim, Hindu, Buddhist, Catholic or Protestant. A declaration needs to be signed to this effect. Unless both parties are Muslim, the marriage ceremony will be in 2 parts; one will be the government legal section and then the Celebrant or Religious Minister will conduct their part. Unless you are both of the Muslim faith, then your Marriage Ceremony will need to be attended by a Catatan Sipil (civil registrar). As Islam is the official religion of Indonesia, a Kantor Urusan Agama (Directorate of Islamic Religion Affairs) represents the government and therefore removes the requirement for both a civil registrar and a Religious Minister. 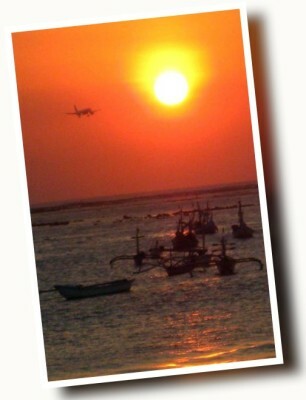 Remember the famous Bali traffic! Make sure that your guests are aware of how long it can take to drive only short distances in Bali. Something else to think about: often Indonesian or Balinese people will speak good English, but not necessarily read so well. If it is important that you and your guests hear and understand all the proceedings, consider adding a ‘western’ Celebrant.